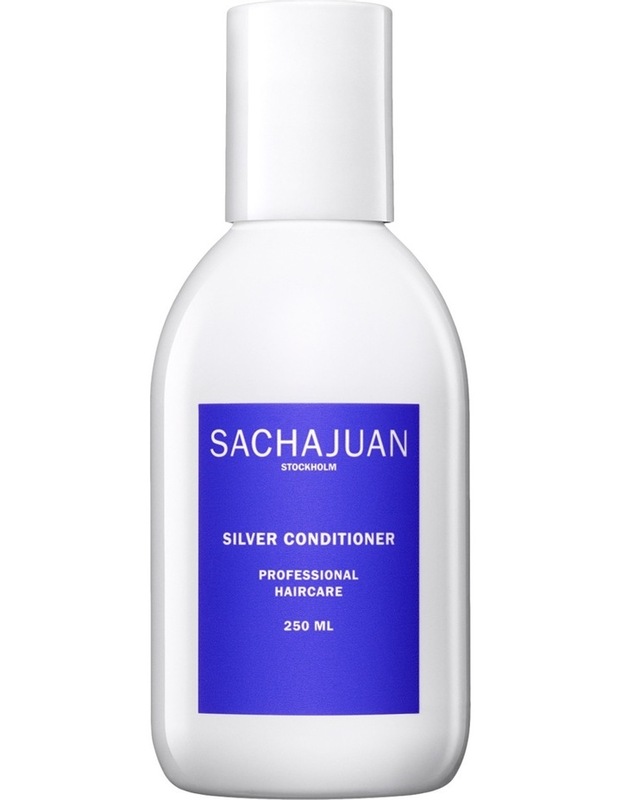 Silver Conditioner adds pigments to the hair which counteracts and neutralizes yellow and golden tones. The pigments add volume as well as adding new lustre to hair. Containing UV-protection and Ocean Silk Technology, hair is left hydrated, perfectly conditioned and manageable and with increased shine and stability. The secret behind the high performing formula in the SACHAJUAN Hair Care range is the Ocean Silk Technology a combination of algaes and other tailor made ingredients which has a healing effect on the hair. With this technology Sachajuan creates recipes that gives the hair maximum shine, volume, stability and care without making the hair heavy.